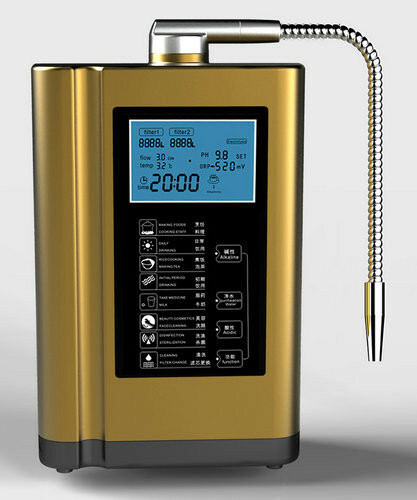 Drinking Alkaline water - drink after exercising as alkaline water replenishes the electrolyte balance 3 times more than other waters because of its smaller water cluster it is more easily absorbed and recuperation is faster. It also helps with fatigue problems because of this. Sleep is helped if you drink a glass ½ hour before bedtime. When cooking with Alkalized water, rice absorbs the water more easily enhancing the natural taste. Foods cook quicker because of the smaller water molecules in alkalized water. 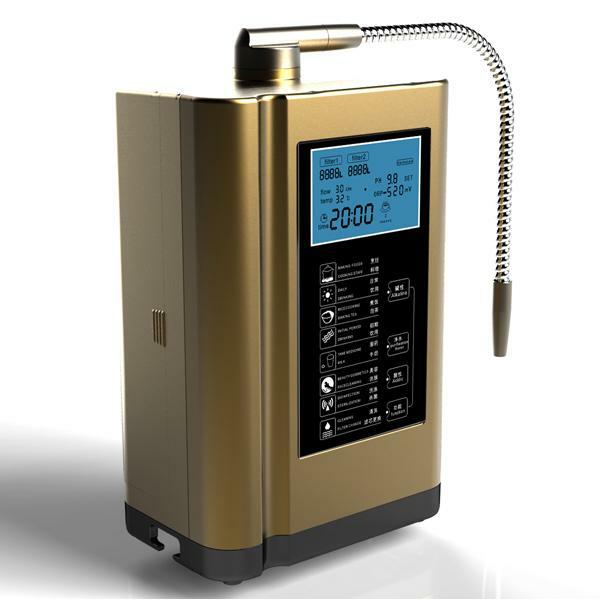 Tea, Coffee and other beverages - Alkaline water also adds flavor and brings out the best in beverages. Beverages taste smoother they don't have that acidic taste / tang. Tide marks on cups take longer to establish themselves and are easy to clean away. Vegetables---- wash vegetables with alkaline water and get the maximum tastes and flavors from them in salads etc. 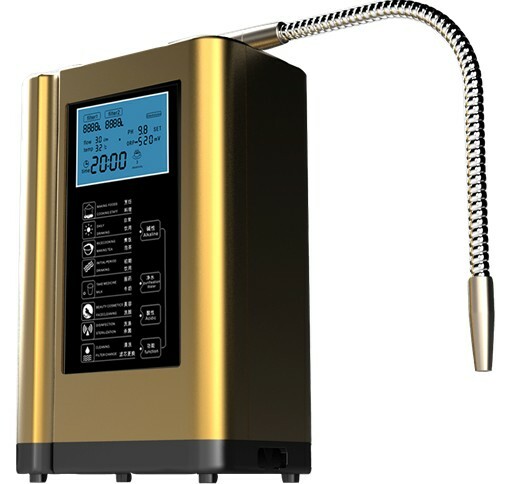 The bitter tastes that can sometimes be experienced are taken away when washing / rinsing with alkaline water. Gives you lots of Energy - electrolyte / oxygen. Hydrates your body 3 times more effectively than conventional water and bottled water. Nutrients are absorbed more efficiently into the body. Foods cooked with ionized water taste better, their nutrients are absorbed better by the body. Promotes healthier skin and complexion. Promotes overall health and healing by bringing the body into balance. Healthy cells live in an Alkalized environment. It is also good for Animals as well as Humans. Applying Ionized Acid Water regularly works like an astringent to tighten the skin and remove wrinkles; however, there is NO chemical residue. It soothes and helps keep the skin clear of acne and other blemishes. At its strongest level, Ionized Acid Water kills most bacteria on contact. It improves hair and skin conditions of any kind, including fungus, cuts, scraps, even serious wounds. It takes the itch out of mosquito bites, the sting out of other insect bites. Ionized Acid Water has been used successfully in treating diabetic ulcers. This is a condition that develops in diabetics where a fester opens in the skin, usually in the legs or feet, which can result in amputation if not promptly treated. These ulcers can become very serious. However, soaking the ulcer in Ionized Acid Water has tremendous healing effects. Ionized Acid Water promotes substantially healthier plant growth. Skin care----Acid water acts as an astringent that is very effective for skin care because human skin and hair should be mildly acidic. Use the acid water externally to bring back the smoothness to skin and sheen to hair. Shaving----For men or women, shaving or waxing can sometimes be a painful chore. Skin Care Water is a natural after-shave and after-waxing solution. Use it to close your pores and calm your skin. Bring your skin back to its natural pH 5.5 balance to minimize any bacteria growth that can lead to acne and ingrown hair. Brushing Teeth----use Acid water for brushing teeth and removing plaque helps with gum disease. Gargle for a sore throat. If amalgams are present use high level alkaline water. Athletes foot----use acid water to help remove the foot fungus. Vaginal Thrush----use as an external douche, relieves itching. In the Kitchen----Use ACID water for cleaning work surfaces, dish clothes, cutting and bread boards. Cups and dishes rinsed in ACID water after washing are sterilized on level 5. line of tea or coffee as easily if at all, dependent on the water supply / area. Helps to resolve aerobic bacterial problems. Helps to heal cuts, blisters, scrapes, or rashes. Effectively removes plaque from teeth, use it instead of toothpaste rinse with Alkaline. Wash your vegetables, fruits, meats and fish with it to remove bacteria. Gargle with it to relieve sore throats or other mouth sores. Works as an astringent to pull skin tighter e.g. wrinkles can be helped. Helps in the treatment of acne and eczema. Is very good in the treatment for fungus such as athletes foot. It is very good to use as an external vaginal douche for thrush and itching. Promotes plant growth and their general health. Extends the life of cut flowers.